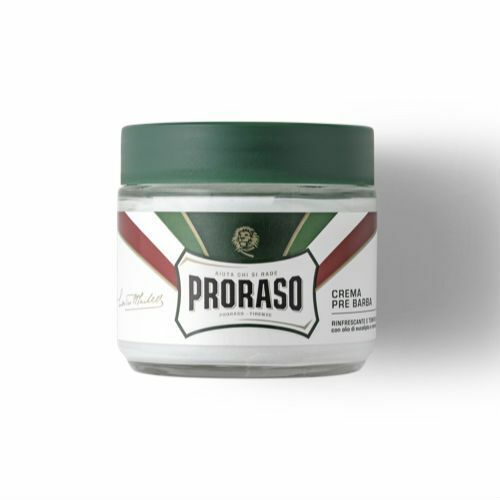 A wonderfully soothing re-working of the famous Proraso shaving cream formula, made with Aloe and Green Tea in a Glycerin base (rather than the normal Eucalyptus and Menthol combnation). 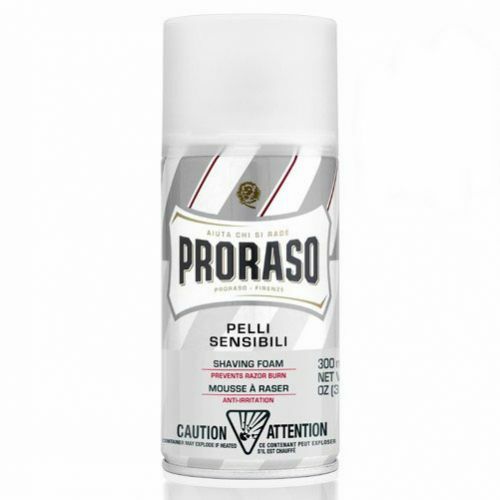 Gives the same super close shave as the original formula but so gentle as to be ideal even for ultra sensitive skin. Best applied with a brush. 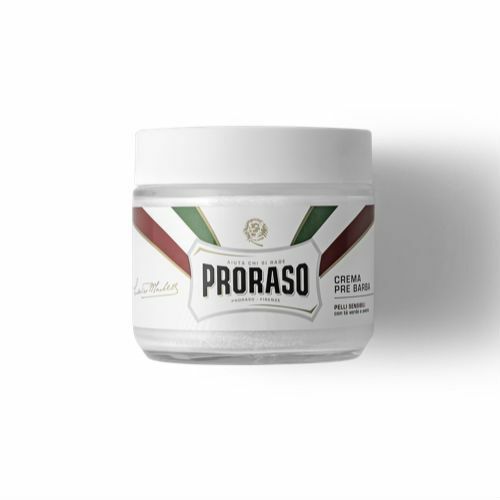 With a damp brush or hands, lather up the cream and apply it to the shave area. Lathers up nicely into thick, white cream. Good coverage. It does leave a residue on your sink and blade, I guess it's something in the soap. Smells nicely. No irritation whatsoever. Combo with Korres aftershave balm. 4 stars because of the residue it leaves and because it makes my skin a bit taut just after I shave it. It's not as slick as the green formulation. Other than that it's top notch.